Contemporary Afro-fusion artist Alexio Kawara last week dropped yet another single from his forthcoming album, “Oyi”, set to be released in the first part of the year. The single, “Oyi”, was released ahead of Valentine’s Day. The song has been well received by his fans especially during Alexio’s shows at the Zimbabwe Germany Society last Thursday and Bar Rouge on Saturday. In an interview, Alexio said the single celebrates love and relationships. “The song is about people appreciating each other in relationships because I feel there are times when we take each other for granted and we want to rekindle love with this melody,” he said. Alexio said he would be releasing another single ahead of the album launch in May or April. The Glen Norah bred artiste has been in the studio after releasing his last album “Tose” in October 2011 with his followers wondering when he would release his latest offering. He called on his fans to be patient with him as he works on his latest offering. “I believe in making timeless music and timeless music takes time to make,” he said. The “Shaina” hit-maker has been sampling some songs from the 10-track album during his shows especially the ever-popular kuChina evenings held every Thursday at the Zimbabwe German Society in Milton Park. Some of the popular songs from the forthcoming album that have endeared him to the fans include “Zvaazvinhu” and “Chakaipa” featuring Roki, among others. Alexio, however, remains optimistic that the single will be warmly received in Zimbabwe. “My secret is my passion for music. No matter the hurdles I face I still have the strength to push on,” he said. 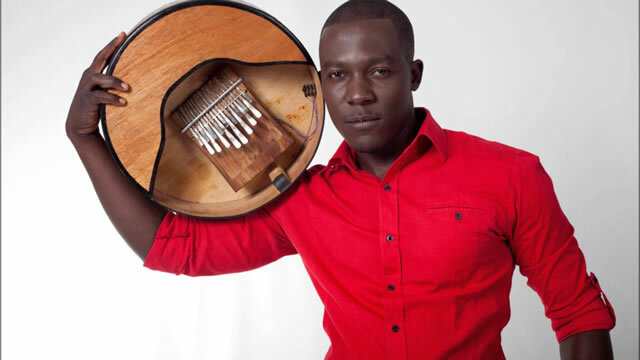 Backed by the talented Shades of Black, Alexio has held his own when sharing the stage with local and international stars including Mafikizolo, Zahara, Jah Prayzah, Oliver Mtukudzi.